A new series of electromagnetic relays from RELPOL has been designed for direct installation in electronic printed circuits. 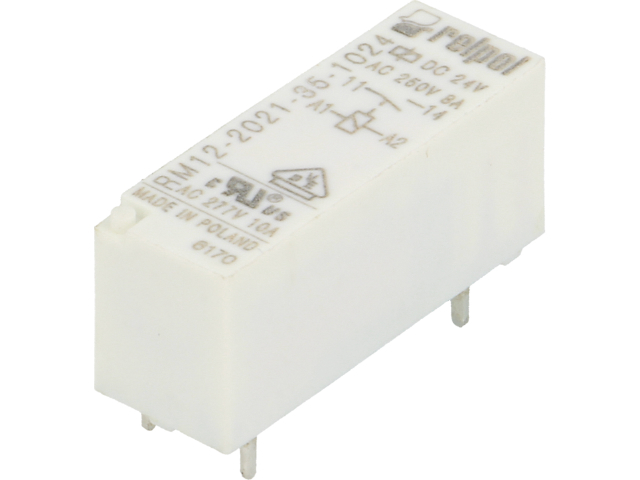 rated load: 8 A/250 VAC or 8 A / 24 VDC. low power consumption: from 0.22W to 0.25W.